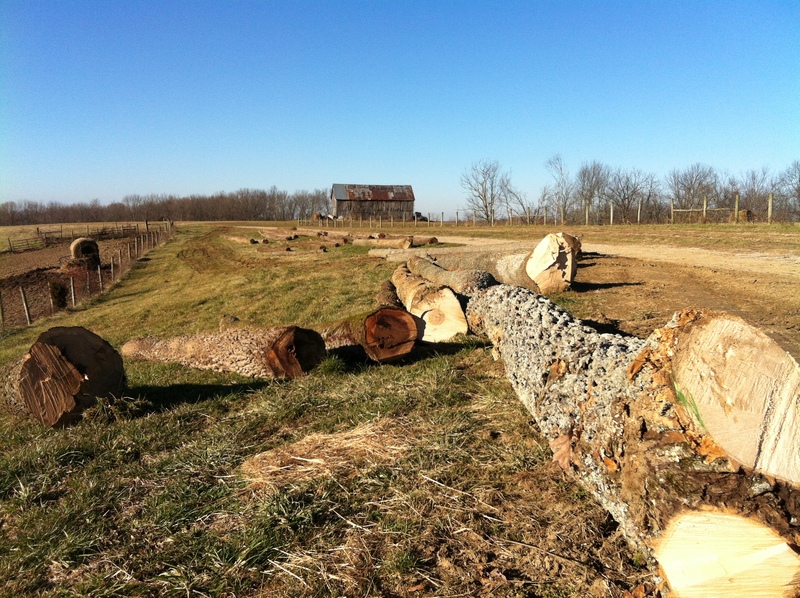 The logs we sold consisted of mainly walnut (seems to be a very high demand for it right now) and some white oak. 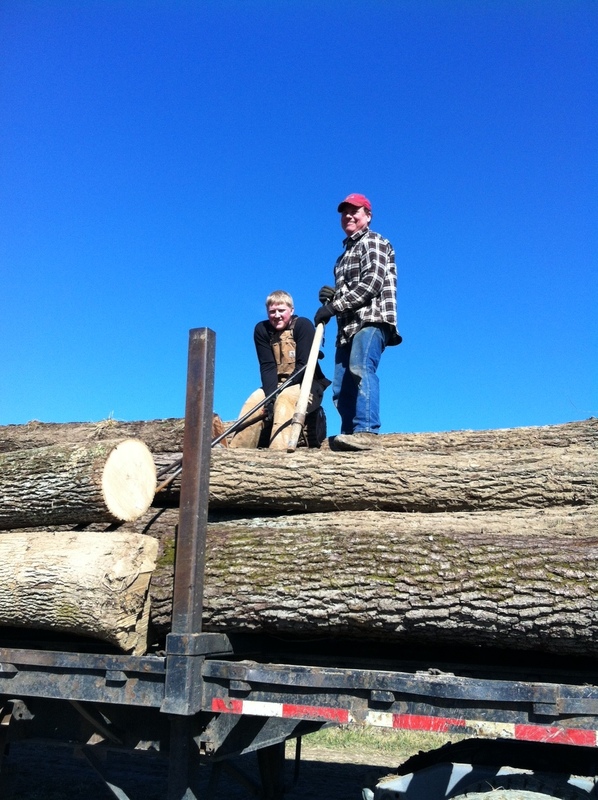 The process of loading them on to the log truck took the guys all day and looked a little dangerous to me! Still, it was pretty interesting to watch. My father-in-law, Dean, and bro-in-law, Daniel, having way too much fun! Uncle Ellis operating the tractor while Dean and Daniel help with the unloading! Watch the sawmill in action!